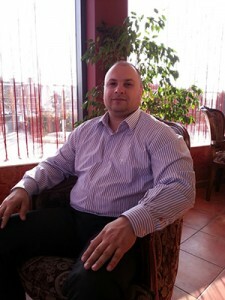 Hello, I am Ventsislav Danailov, the owner of TransferTaxi.eu website. I started my career as a taxi driver in 1997. After years of work in the sphere of taxi services, I founded in 2011 my own company named Don Taxi Ltd for passenger transport in the city of Ruse, Bulgaria. Don Taxi Ltd is licensed by the Ministry of Transport in the Republic of Bulgaria under reg. No 10684 to perform taxi services. Following Plato’s aphoristic statement in The Republic “The beginning is the most important part of the work”, I devoted to perform and extend our taxi services. The efforts have paid off with the exclusively positive feedback of our clients that helped to expand the services. I am happy to mention that the first employees became my friends and we formed a good team that enabled the expansion of the transport services with a second company, Marven Cars Ltd – Ruse for rent-a-car activities at attractively low prices. All services, which you can find on the website, were developed in response of client’s satisfaction and demands. The new website ” TransferTaxi.eu ” is aiming to enhance the services for Bucharest Airport Transfers, so that to meet the needs and demands of passengers travelling to Bulgaria. Our office is based in Ruse, Bulgaria and offers daily transfers from Bucharest Airport and the city of Bucharest to cities, towns and resorts in Bulgaria and Romania. Guarantees: As an owner, I can assure you that every transfer shall be implemented as requested and precisely on time. In case of failure, your costs shall be refunded.